True to its name, the TRANSFER collection transfers familiar patterns and textures to a foreign context. In a triumph of modern handcraft, the textures are etched and meticulously lacquered by hand on to the generous surface of the stainless steel frame. 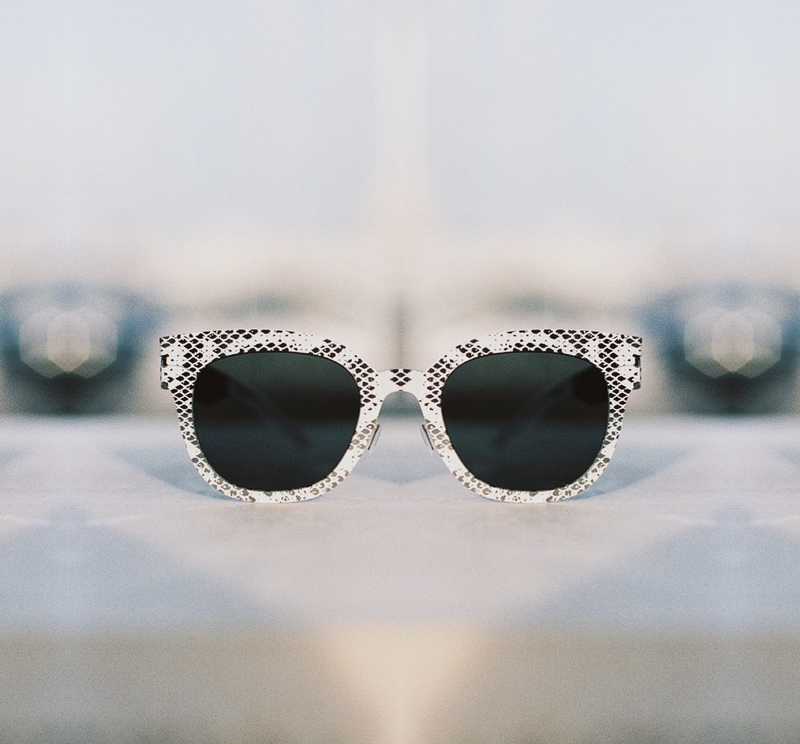 Flat lenses add to the avant-garde aesthetic of this high-fashion eyewear.